Captured with my little point and shoot through the office window around 9.30am. 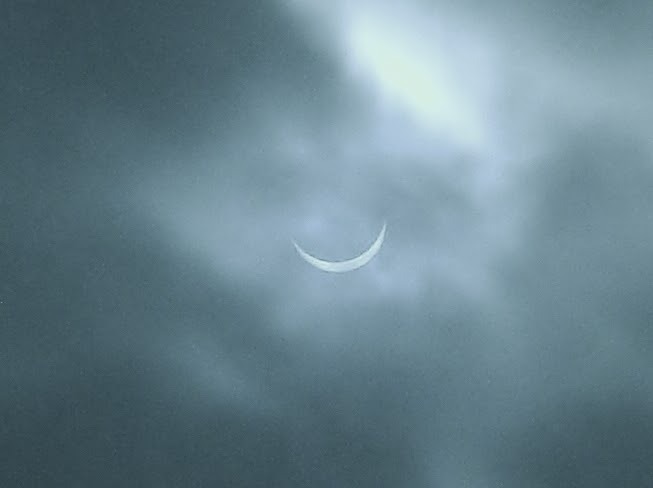 It was very cloudy in Manchester but we were lucky enough to get a glimpse of the event. It won't happen again here until 2026. That's a very fine picture and a great memory! We had brilliant sunshine and I had not the necessary equipment, so no picture. I photographed the shadow reflection coming through the round holes of the blinds, which let me follow the progression of the moon. Haven't seen an eclipse here in the States for awhile. Nice you got a shot of it. 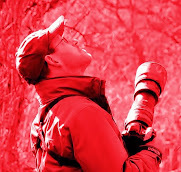 That is a great shot with your little camera. I think we had clouds during the few major eclipses that I remember. It simply turned dark. Too cloudy in London to even get a glimpse. Oh I'm glad you posted this; I wondered if any of my 'blogging friends who were in the right place would do so. Thanks for sharing. Nice shot Andrew. Better than I managed as the sun stayed too bright!